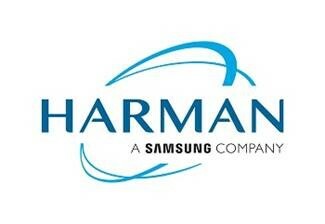 CES 2019 – LAS VEGAS – January 7, 2019 – HARMAN International, a wholly-owned subsidiary of Samsung Electronics Co. Ltd., focused on connected technologies for automotive, consumer and enterprise markets, is showcasing at CES 2019 the vehicle’s role in amplifying the connected life. By bringing together the company’s expertise in connected car, audio and connected services technologies, HARMAN is democratising vehicle experiences through innovative technology solutions that enable smarter interactions, improve safety and security, and help automakers seamlessly scale offerings for all vehicle segments. 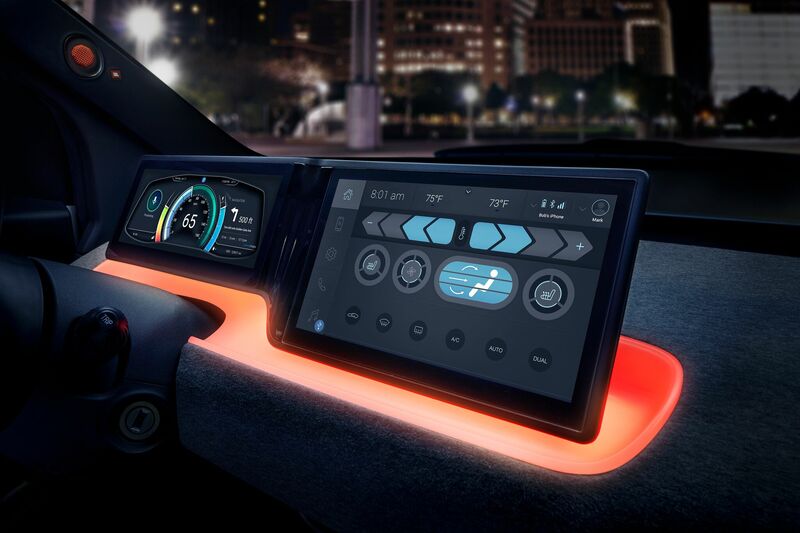 Each newly enhanced offering is designed to work together, often managed by a single HARMAN control unit, to help automakers pick and choose technologies to provide greater connectivity within vehicles, and across devices, allowing OEMs the ability to streamline their supply chain, while improving product flexibility. This also helps expedite the implementation of more advanced driver assistance systems (ADAS) across model lineups. Some of the most important in-vehicle technologies today are the instrument cluster and infotainment display, but far too often these are designed to function in a silo. For the consumer, this can make the driving experience seem disjointed and lead to a feeling of information overload. All of which, fosters a sense of discomfort and mistrust around connected car technology. To foster consumer trust, and help drivers embrace the highly connected and autonomous vehicle experience, HARMAN has reimagined its Digital Cockpit offerings while ensuring they are scalable for a range of entry-level and premium luxury vehicles. In an economical application, HARMAN’s Digital Cockpit simplifies vehicle display layouts to present both critical and ancillary information in an intuitive and cohesive layout. Capable of showing ADAS feature information, turn-by-turn navigation, multi-media player information, feature menus and more, the entry-level Digital Cockpit can also seamlessly integrate with a user’s smartphone to bridge multiple personal assistants (such as Google, Alexa and Samsung’s Bixby) while adding HARMAN-specific driver related skills into all the clouds in an agnostic way. For drivers seeking the ultimate in-vehicle experience for them and their passengers right from the factory, HARMAN’s Premium Digital Cockpit and Compute Platform with integrated modular hardware is an end-to-end package that seamlessly integrates a vehicle’s cluster, infotainment and safety features. Blending clear, vibrant QLED and OLED display technologies for optimal colour gamut regardless of the time of day, the solution also features facial recognition for driver monitoring using HARMAN’s Cabin Monitoring System – a suite of sensors to capture first- and second-order biometric signals from a driver to create a deeper human-machine relationship. Augmented reality for E-Mirror surround view and contextual navigation, as well as cloud-stored profile settings for personalised experiences are also featured in this fully integrated IoT capable offering. Both variants of HARMAN’s Digital Cockpit can work seamlessly with the company’s suite of sensor technology – from Forward Facing Cameras to LiDAR – designed to not only bring more ADAS-equipped vehicles to market, but help drivers feel more comfortable with future-mobility technology. With voice commands emerging as the norm for managing in-car experiences, clear in-vehicle communication is more important than ever before. HARMAN’s new Premium Communication solutions leverage the latest advancements in smart audio and acoustic signal processing to personalise the sonic environment and provide clear, frustration-free communication for all vehicle occupants – whether it’s with a voice assistant, someone on the other end of a phone call, or with each other. Built on AudioworX, HARMAN’s proprietary, open-network development platform, Premium Communications is modular and scalable across vehicle segments. Together, its technologies address the challenges of the evolving vehicle interior and help OEMs better capitalise on integrations with voice assistants, while fulfilling consumer demand for better in-vehicle communication. In-Car Communication (ICC), providing clear, safe 2-way communication amongst vehicle occupants –seamlessly, for every drive. ClearChat with Far-End Noise Cancellation, bringing new levels of clarity for phone voice calls and voice commands. Personal Communication Zones, giving each occupant an enjoyable, personalised in-car experience free from sonic clutter. 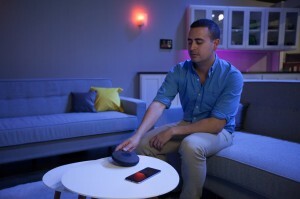 Multi Voice Personal Assistant Capability allowing occupants the freedom to use the voice assistant of their choice. Leveraging the world’s leading microphone, voice processing and noise cancelling technologies, Premium Communications is a new way to go to market, changing the standard for the in-vehicle experience across all market and vehicle segments. Ensuring all this connectivity functions securely is a primary consideration. HARMAN’s Ignite Automotive Cloud platform works with both entry-level and premium offerings to manage multiple in-vehicle solutions, from vehicle diagnostics to cloud-based driver profiles, all under one control unit that can be updated over-the-air by using HARMAN Remote Vehicle Updating Service (OTA). This also enables connected ADAS applications and features, as well as IoT functionality to provide capabilities such as route alerts and guidance via calendar integration and integration with home control systems such as SmartThings. HARMAN SHIELD – a comprehensive intrusion detection and prevention solution (IDPS) – functions as the car’s security system, capable of detecting, managing, mitigating and responding to cyber-attacks on connected and autonomous vehicles. Keeping all of this technology updated and connected requires a robust data transfer network, which is why HARMAN is working to equip more vehicles with its 5G Telematics for vehicle to everything (V2X) communications. Powered by HARMAN’s powerful conformal antenna technology and capable of working in cars and motorcycles (via a Bluetooth helmet), V2X allows for faster message exchanges for increased roadway safety, and audible infrastructure and safety alerts. 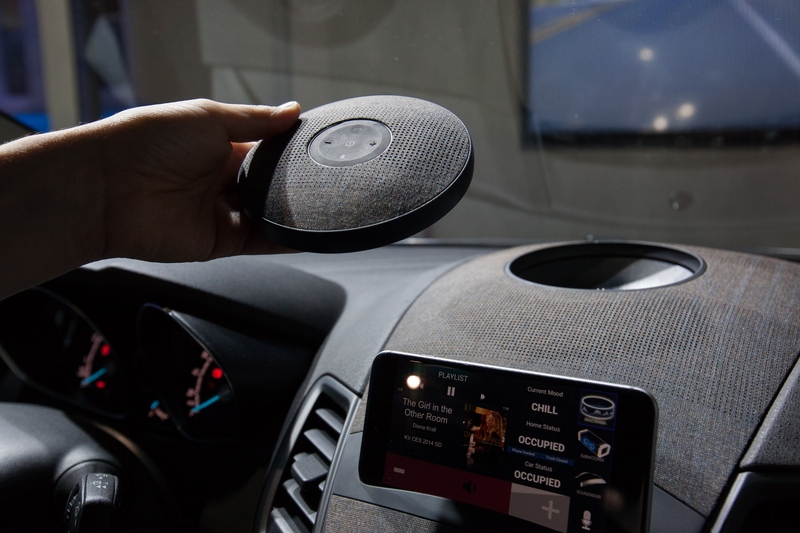 CES 2016, LAS VEGAS – January 5, 2016 – HARMAN International Industries (NYSE: HAR), the premier connected technologies company for automotive, consumer and enterprise markets, is introducing its latest Car Audio innovations at CES 2016. Drawing from its 60-plus years of experience in acoustic design and signal processing, as well as proven technologies from each of its four divisions, HARMAN is demonstrating its breakthrough solution – the seamless, scalable Infinity Voyager Drive lifestyle audio system. 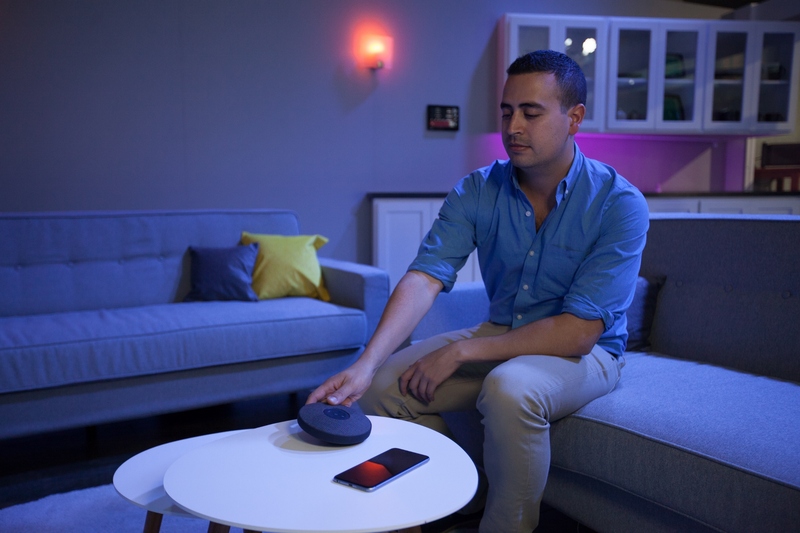 The system leverages next-generation connectivity capabilities, building on the principles of personalisation and adaptability to create unprecedented in-cabin audio experiences for today’s consumers. The Infinity Voyager Drive solution is a revolutionary, full-range portable Bluetooth speaker system personalised to fit consumers’ on-the-go lifestyles in and out of their vehicle. Designed specifically with today’s always-connected consumers and music lovers in mind, Voyager Drive is a unique lifestyle audio system that pops into and out of the vehicle dashboard to seamlessly follow consumers from their car, to the house, the beach, campsite, or anywhere else their journey may take them. A completely new approach to in-vehicle audio, Voyager Drive brings branded car audio to new markets with the first-of-its-kind scalable, versatile audio system designed specifically for entry-segment vehicles. Leapfrogging the constraints of traditional door speaker and head unit architectures, Voyager Drive gives OEMs the ability to offer cost-effective and low-complexity branded audio solutions for this fast-growing segment as well as for emerging markets, making lifestyle audio available to customers that previously have not had access. What’s more, Voyager Drive’s Bluetooth connectivity allows for over the air (OTA) content updates to ensure that the latest entertainment options are always accessible and up to date. Voyager Drive is designed to appeal to the fast growing segment of young consumers who demand portability and personalisation without compromising quality. On its own, Voyager Drive provides a best-in-class listening experience to entry segment vehicles through a detachable wireless speaker and six dynamic in-dash speakers. The system can be expanded at any time with the addition of Voyager Drive+, a removable car bass box that functions as a full-range portable audio system in and out of your vehicle. CES 2016, LAS VEGAS – January 5, 2016 – HARMAN (NYSE: HAR), the premier connected technologies company for automotive, consumer and enterprise markets, announced a connected car collaboration with Microsoft Corp. at CES 2016. This project will introduce new mobile productivity services, as well as utilise existing products, services and technologies, including cloud platforms, telematics and driver productivity, to offer better convenience, safety and reliability for drivers and greater operating efficiency for auto manufacturers. 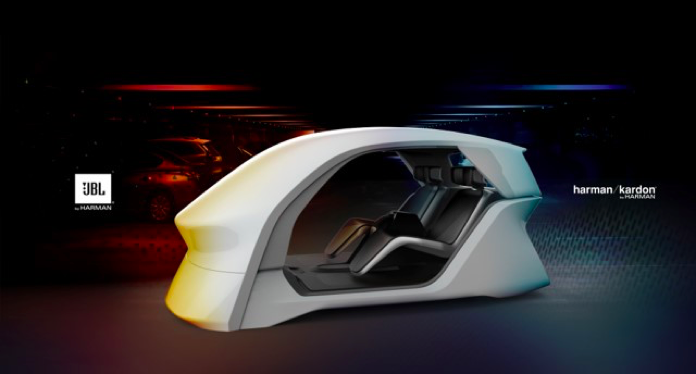 Most importantly, the collaboration will integrate key elements of Microsoft Office 365 productivity suite capabilities into HARMAN infotainment systems. This collaboration is a first for Microsoft in the connected car space and represents a new emphasis on productivity within the car. With access to relevant Office 365 services through intelligent personal assistant software, drivers can complete tasks without compromising safety, including scheduling meetings, hearing and responding to emails, automatically joining conference calls without having to manually input the phone number and passcode, and seamlessly managing events and tasks throughout the day. Drivers will also be able to hold Skype calls and conferences when in park, or on the road with autonomous vehicles. In addition, with HARMAN’s over-the-air (OTA) incremental update capabilities, the most current version of Office 365 will always be accessible to drivers.